“A smile that lights up the room” epitomizes our Luna. 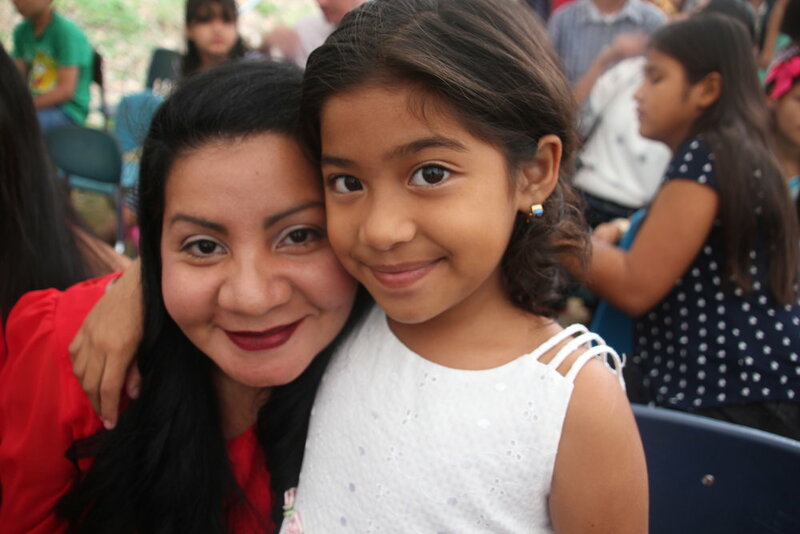 * Since arriving at Amigos de Jesús in 2017, she has radiated happiness and warmth. She is a bright little girl who loves her brother, her madrinas, and the girls in her home. Luna is a hard worker, always helpful with her madrinas and teachers. She also is a first-rate tortilla maker! What is your favorite part about school? Computer Class. What is something interesting that you have learned recently in school? Don't cut down the trees! What do you like to do in your free time? Play with older brother and dance to Zumba. What do you want to be when you grow up? A math teacher. What are you grateful for at Amigos de Jesús? The friends I have here. What is your favorite part of Amigos de Jesús? The cross- because it's pretty. What do you like to do with the volunteers/your 'madrinas'? Play soccer. If you could have any super power for a day, what would it be? The ability to fly. If you could ask God one question, what would it be? I would ask if he could send me water. What is something your 'madrinas' and teachers always tell you? To behave well. What's the hardest part about being a kid? Going to school. If you could be famous for something, what would it be for? Being a singer. Luna with her brother, Alex*, and friend on Christmas Eve 2017. Luna as the Virgin Mary and Alex as St. Joseph, Christmas Eve 2017.